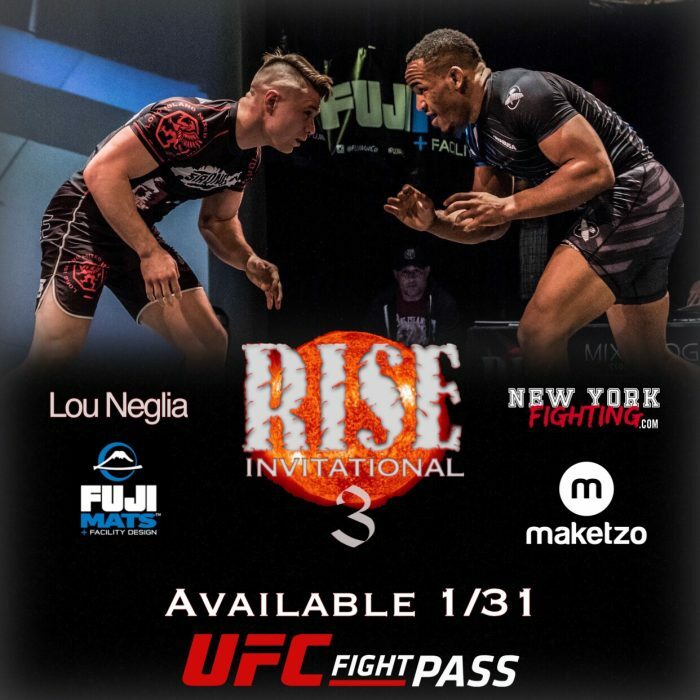 For the first time ever, Ring of Combat comes to New York City to bring you live amateur MMA action at the Capitale on Bowery. A popular location for Lou Neglia events, this venue will host a night of 11 MMA fights (1 of which is a title fight), and 2 kickboxing fights (1 of which is a title fight). ROC AM 27 will give local New York MMA Fighters an opportunity to fight in their own backyard for the first time in ROC history, featuring names from several of the well-known NY martial arts schools, including Budokan Martial Arts, Neglia Competition Team, Serra Longo Fight Team, Tiger Schulmann MMA, Bellmore Kickboxing Academy, Brooklyn MMA, Renzo Gracie, Academy and Lion’s MMA. See full card below. 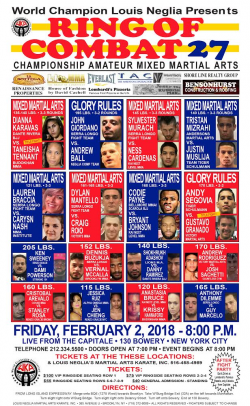 Saturday, February 3, 2018, Xtreme Caged Combat returns to the National Guard Armory in Philadelphia, Pennsylvania to bring you Xtreme Caged Combat 30. This card will feature many of the region’s best up and coming prospects and established XCC veteran such as Alexandre Bezerra, Scott Clymer, Victor Pozsonyi, Daniel Tolbert, Craig Alexander, and many more. This card will also feature several female bouts with a highly anticipated match between Amanda Leve (Ricardo Almeida BJJ) and Celine Anderson (Xtreme Couture). The UFC will make its first appearance to the Arena Guilherme Paraense, featuring a main event between the former UFC Light Heavyweight Champion Lyoto “The Dragon” Machia, and the former LFA Middleweight Champion Eryk “Ya Boi” Anders. The undefeated Anders looks to bring his record to 11-0 as he takes on the veteran Machida, who will be competing for his 31st time as a professional (22-8). The co-main event of the evening will be a fight between the always exciting #8 ranked UFC Bantamweight John “The Magician” Dodson (20-9) and the current #10 ranked UFC Bantamweight Pedro “The Young Punisher” Munhoz (15-2). 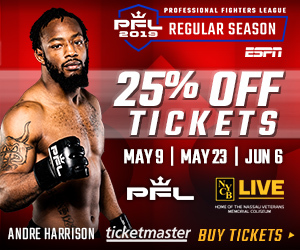 Accomplished college wrestler Desmond “The Predator” Green (20-5) looks to bounce back from his first UFC loss against Rustam Khabilov, as he battles the Brazilian submission artist, Michel “Tractor” Prazeres (22-2).